We, the undersigned organizations and individuals, join PEN America in urging you to raise the critical issue of the growing number of political prisoners held in Russia during your discussions with President Vladimir Putin at the summit scheduled for July 16 in Helsinki, Finland. 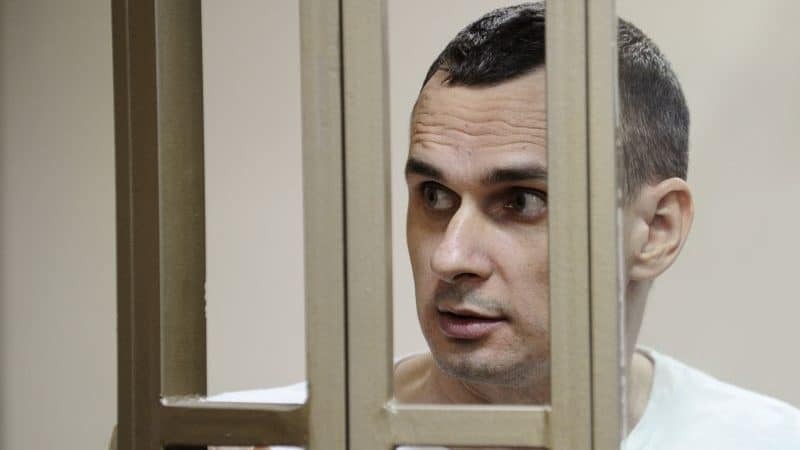 In particular, we ask that you raise the case of Ukrainian filmmaker Oleg Sentsov. Oleg’s current situation is dire, as he has been on a hunger strike since May 14, 2018. We are deeply concerned that if progress is not made on Oleg’s case very soon, his life will be endangered. Oleg Sentsov, the recipient of the 2017 PEN/Barbey Freedom to Write Award, was detained in May 2014 in his native Crimea and brought to Moscow on unsubstantiated allegations of terrorism. On August 25, 2015, Oleg was sentenced to 20 years in prison. His trial has been condemned by numerous governments and human rights organizations as politically motivated, likely in retaliation for his outspoken criticism of the Russian occupation of Crimea. On May 14, Oleg declared an indefinite hunger strike, stating that “the one and only condition for its termination is the release of all Ukrainian political prisoners that are currently present on the territory of the Russian Federation.” He has stated he is willing to die to achieve this goal. Oleg’s case has garnered support from around the world. In February, PEN America coordinated a global day of action for Oleg that saw events held in 24 cities across 16 countries. And in June more than 50 writers, artists, and activists signed a letter to President Putin calling for Oleg’s immediate and unconditional release. We were heartened to see the June 18 statement from the State Department that expressed concern for Oleg and a number of other political prisoners in Russia. We believe that your meetings with President Putin represent a critical opportunity to raise Oleg’s case and that of all political prisoners in Russia. We emphasize the urgency of Oleg’s situation in particular; his condition is grave and it is not clear how much longer he can survive. We hope you will take this opportunity to help save his life.